An eight piece saw/tool kit including: saws, sanders, and a file. 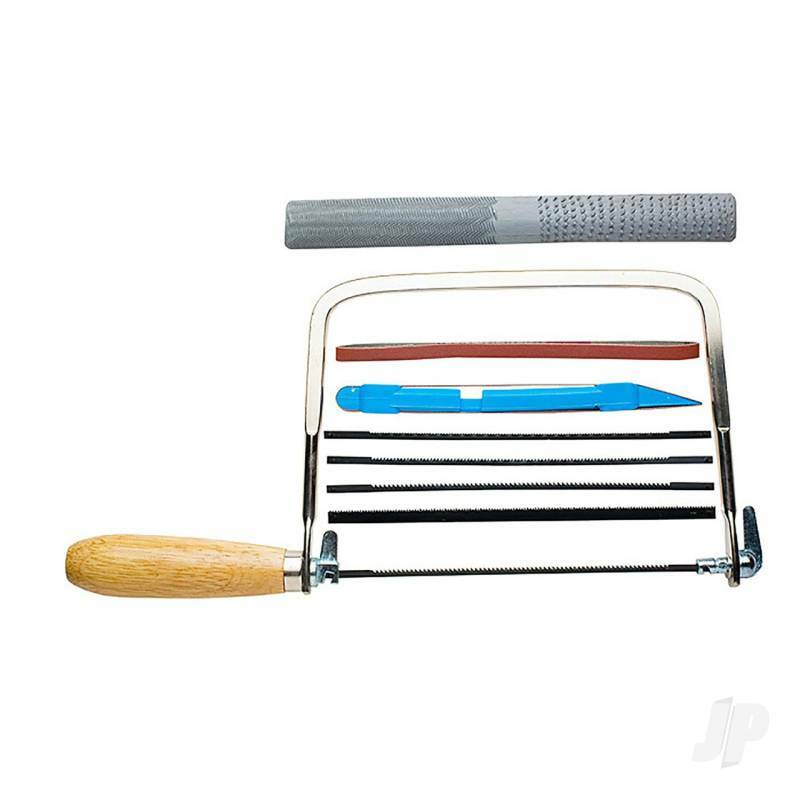 Includes 1 coping saw, 5 assorted blades, one standing stick, two sanding 240 grit belts, and a 4 grit file. Adjustable wooden handle holds blades taut for positive control. 4 pattern file features a flat and convex shape. File used on leather, wood and plastic. Coping saws used for cutting plastic, cardboard, styrofoam and wood cutouts. You can also find more similar products in the Excel brand store in Sets/Knife.